Rehal Al Sharq Logistic Services Co.
“RS Lanes” the logistic solution provider for the industrial, commercial and Oil & Gas sectors was incepted in the year 2006. Within a short span of time it has developed a modern fleet of vehicles, running all through the kingdom as well as the GCC, catering to the needs of the customer such as ARAMCO, SABIC, Procter & Gamble, SRAK, Sino Gas, Halliburton, Baker Hughes etc. Along with the transportation facilities “RS Lanes” also offer our esteemed customers the facility of yards. Along with existing yard facilities of 34500 mtrs2 at Dammam & Dhahran, we intend to develop yards at Abqaiq road, Jubail and at Dammam 2nd Industrial City in the future. 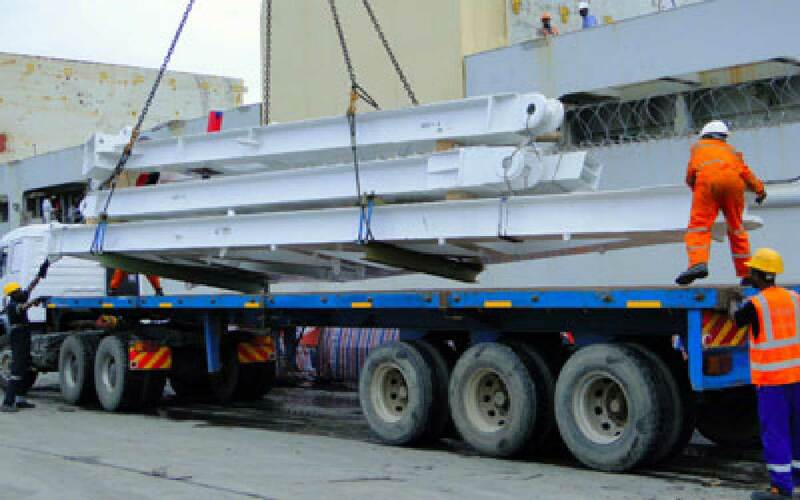 The fleet includes Flatbed Trailers/Trucks, Box Trailers, Low Bed Trailers, Forklifts up to 5 Tons to 40 Tons capacity, 5 Tons trucks, 4x4 Boom truck (rig movers).